Though a lot of (older) fingers point toward millennials to scold them for everything from buying avocado toast to not knowing the soundtracks of antiquated ‘80s movies, a recent report casts blame elsewhere for a big grievance among millennials: homeownership, or lack thereof. The controversy surrounding the low rate of millennial homeownership hit a peak when 35-year-old Australian millionaire Tim Gurner said it was the generation’s love of avocado that was keeping them from owning real estate. “When I was trying to buy my first home, I wasn’t buying smashed avocado for $19 and four coffees at $4 each,” he said in May. His comments, of course, didn’t take into account the stagnant salary growth, the increase in unpaid internships replacing what were once entry-level salaried jobs, the inflated rates of student loan debt and the numerous other factors – familiar to anyone who has ever seen an Old Economy Steve meme – that play a role in hindering young people from buying a home. In a new report from Bloomberg, baby boomers are cited as a different reason why the U.S. housing market isn’t designed to suit first-time homeowners like millennials. As older generations in the U.S. continue to live at longer rates than in the past, homes are increasingly occupied with aging homeowners who don’t plan on going anywhere. Unfortunately, home building has slowed across major U.S. cities, and the homes that are for sale are attached to bigger price tags than ever before. In Philadelphia, for example, the annual price growth on houses has risen by 44 percent since November 2015. The report also notes that public policy has a hand in these market challenges as property tax exemptions for long-term residents give baby boomers and other older generations less incentive to ever move. The Bloomberg story also features a 23-year-old from Philadelphia going door to door asking residents throughout neighborhoods in Brewerytown and South Philly if anyone is planning to sell their house anytime soon. “I wouldn’t sell even if you gave me $2 million – this is my retirement,” one homeowner tells him. 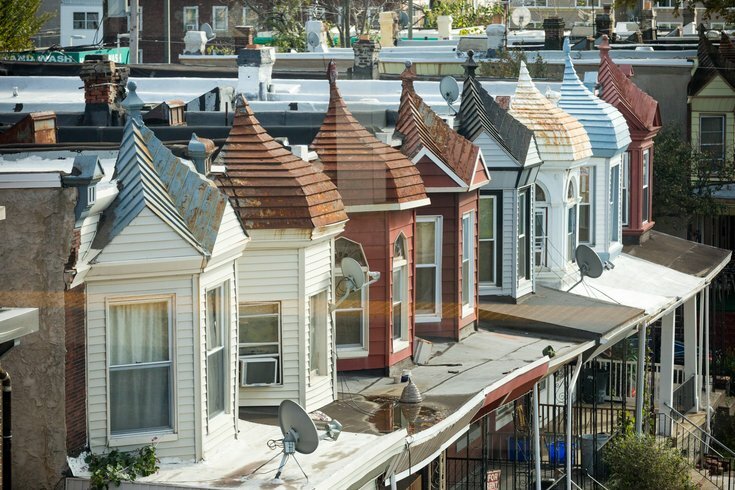 A recent Fitch Ratings report, however, offered some solace for perspective Philadelphia homebuyers, saying the market is still among the most undervalued in the country. But where would homeowners move after making a profit on their Philly home? Along with millennials, they could also be out of luck.